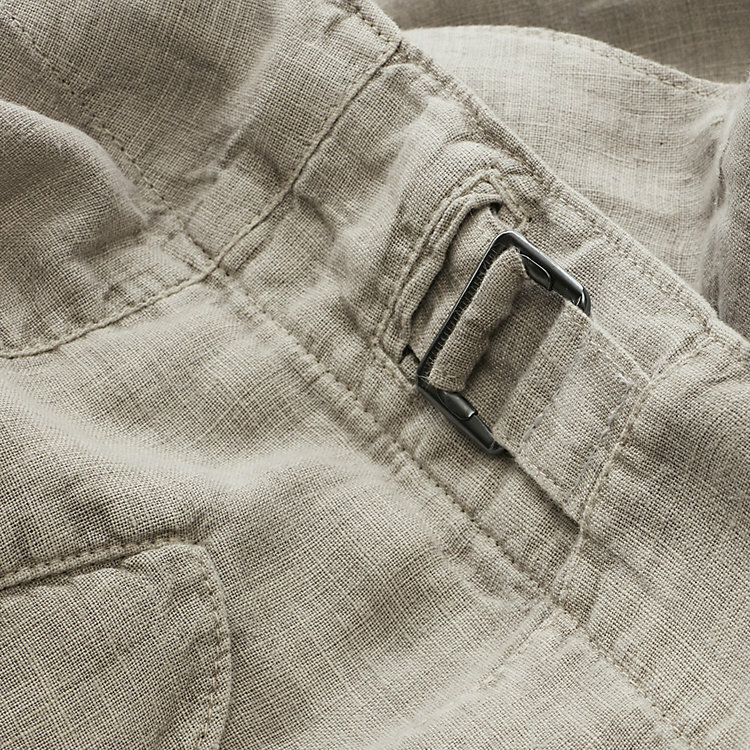 100% linen (weight 150 g/m²), origin: Holland. Plastic buttons and metal buckles. Made in the Czech Republic. Comes in Grey. Hem width for Size L = 48 cm.